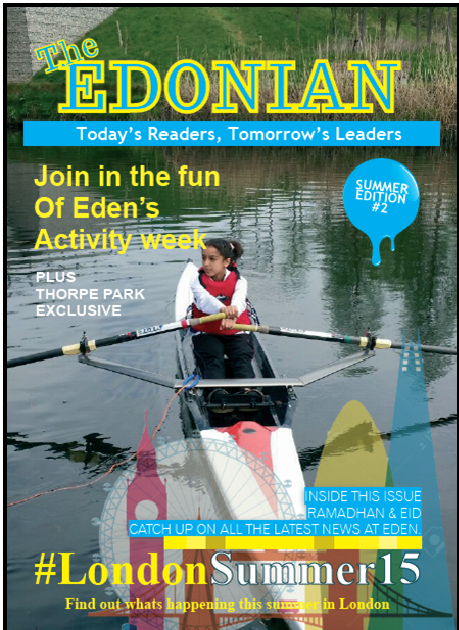 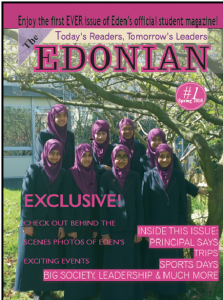 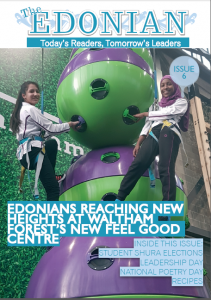 The Edonian is our very own student magazine. It is written and produced by students, for students. The Edonian team are made up of 9 students and overseen by Mrs Ayub & Ms Patel. 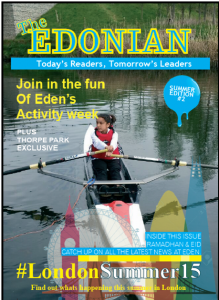 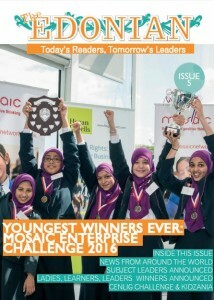 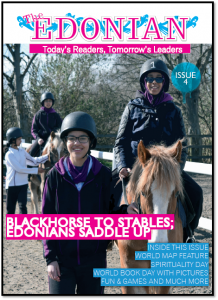 The magazine are produced termly and the team work hard throughout the year writing stories, taking photographs and graphic designing. 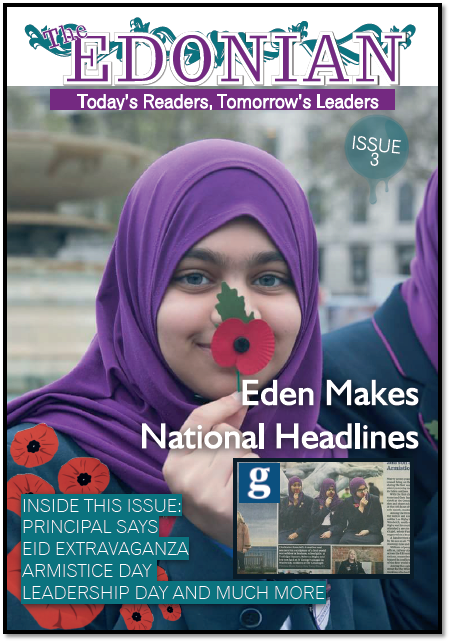 Click on the links below each magazine cover to read the full issue.